Join the Fringe’s favourite housewife Barbara Nice for an evening of proper good fun. 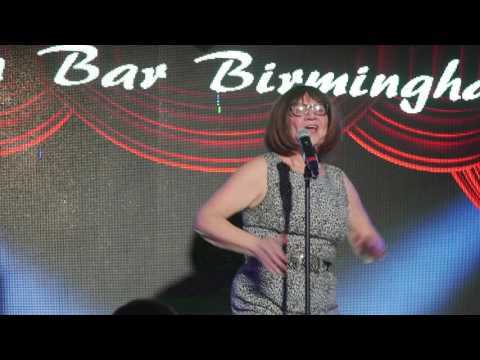 Critically acclaimed tip-top character Comedy from Phoenix Nights actress Janice Connolly. A playful life-affirming show for all the family including the chance to win a prize off Barbara’s table. Her four-part series ‘Barbara Nice’ was broadcast in March 2017 as part of BBC Radio 2’s Comedy Showcase. This critically acclaimed tip-top comedy character is the creation of hugely talented writer, performer and comedian Janice Connolly BEM. Many moons ago, in a new act competition in Manchester in character as Barbara Nice, Janice was discovered by legendary comedian Peter Kay who then asked her to play Holy Mary in Phoenix Nights. The whole cast reunited in 2015 performing Phoenix Nights Live for 15 nights raising over £5m for Comic Relief. Janice is Artistic Director and founder member of the Birmingham-based ‘Women and Theatre’ and was awarded a British Empire Medal in the 2017 New Year’s Honours list for services to community arts in the West Midlands.